the streets of Florence. Thanks for reading and have a great weekend! I love burgundy! Your jacket looks amazing with these browns and the blue pants! Wish you an amazing weekend Justin! yes, I'm familiar with Pitti Uomo:)...I never visited it myself, but I enjoy seeing all those street style photos of it online. Never say never though, I live relatively close to Italy. This outfit is pure elegance! I love how you used the heavy fabrics, making it look so very effortless. There is a British chic vibe here that I really like. 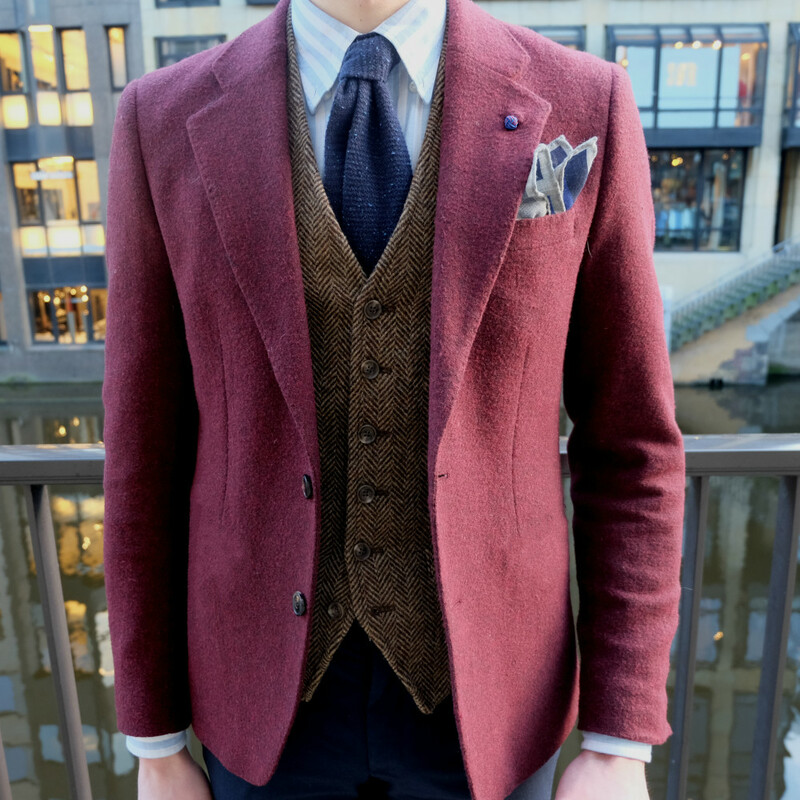 Maybe that thick wool blazer?...and how perfect is that vest. Classy and stylish and cool too. Love! This is such a classy look. 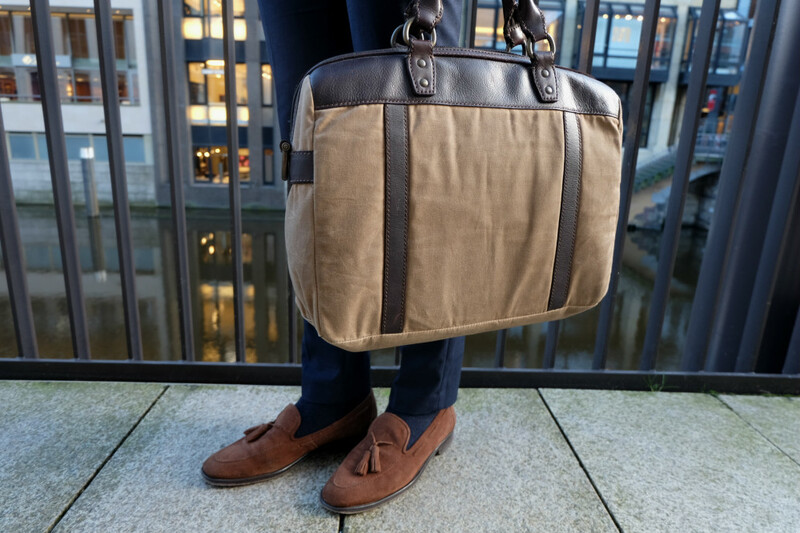 And stylish too! 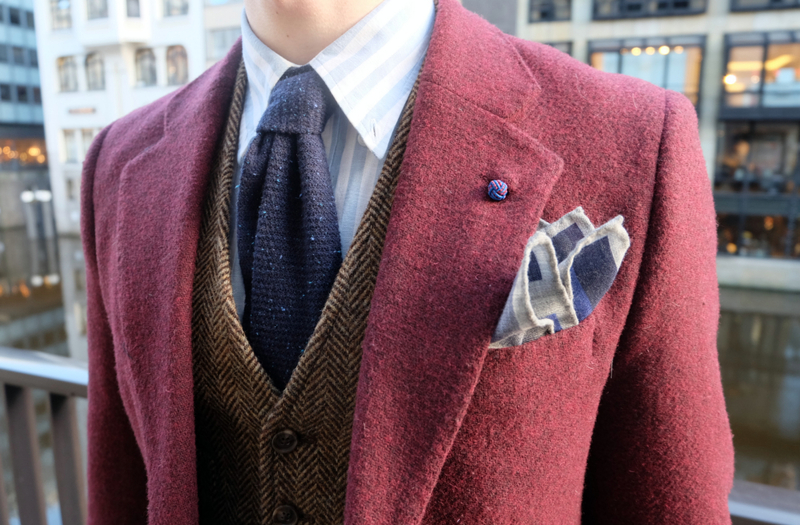 Perfect style, I love the burgundy jacket! Great, you are so elegant! I'm a huge fan of heavy, qood quality fabrics like these! Love it! The blazer and vest look so good together. The hues were in perfect sync! Great outfit as always. 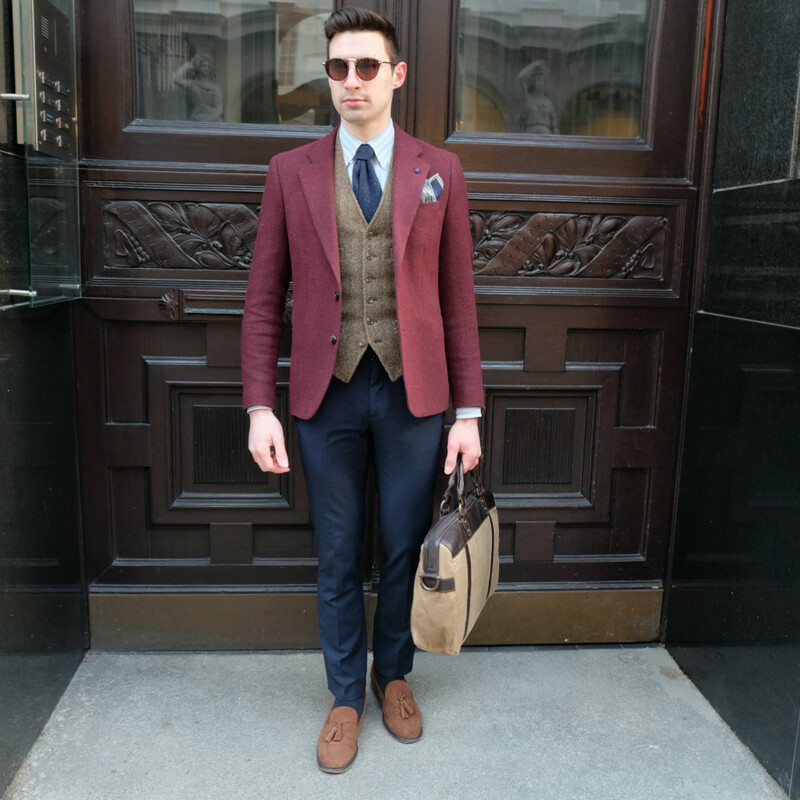 Too dapper for words - the mix of colors is genius! I just found your blog and I must admit that I am already a huge fan. 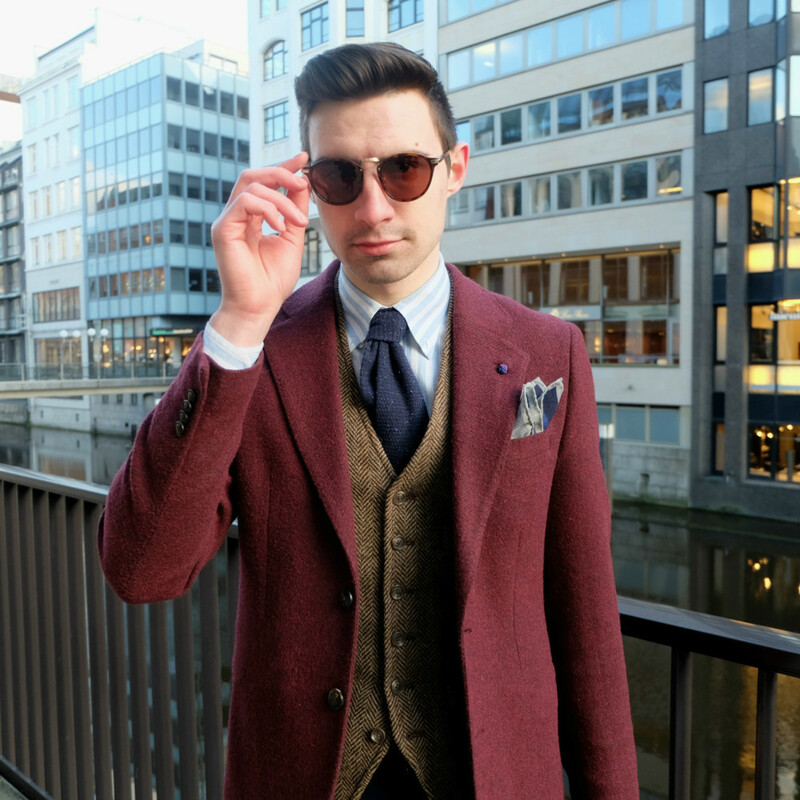 It's refreshing to see a great male fashion blogger and I've always in the opinion that the blogsphere needs more male bloggers. You look very sharp and dapper here, great outfit. 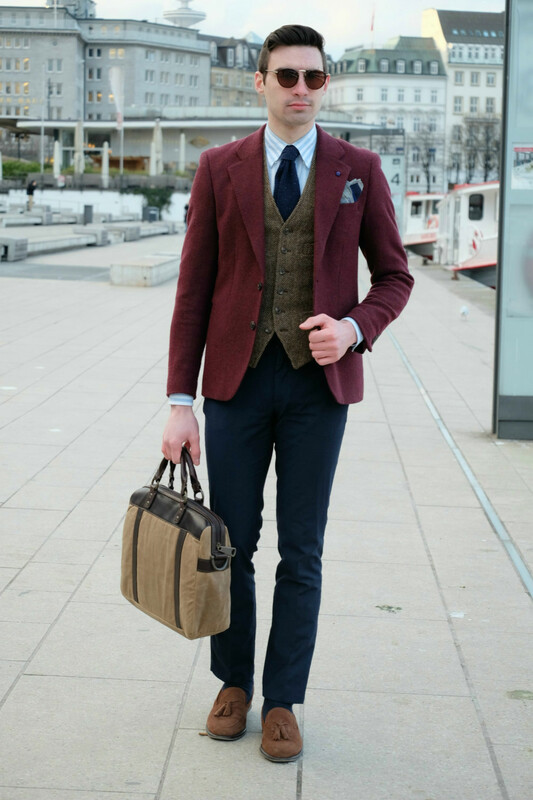 Great mix of colors, I love your burgundy blazer!!! I love how you have layered the jacket and inside vest together. The outfit doesn't just keeps you warm but also makes you look stylish! Que luxo você arrasa belas postagem, bom final de semana. I LOVE THAT BAG BRO!!! This look is veru elegant! I love everything herringbone, specially paired the way you did it here! As always perfect style and colour combination! Wow! Your outfit is perfect! You always look so chic and put together! Lovely outfit, Justin! Have a great weekend! Loooovvee the blazer and vest! Awesome look from top to bottom. It's the perfect winter outfit! I like so much your blazer. Very elegant outfit! No, I didn't know that company before :-/ but obviously they made great pieces! You look awesome in that blazer and vest and I love the heavy fabric!! You look so smart ad elegant dear!!! ♥ I love it! The blazer is amazing! Love the layering details! Justin, you look sooooo hot!!!! LOVVE your tailored suit! And the mix of fabrics, textures is spectacular! The shoes catch my eyes immediately! Nice pair! All look is classy and stylish as always! 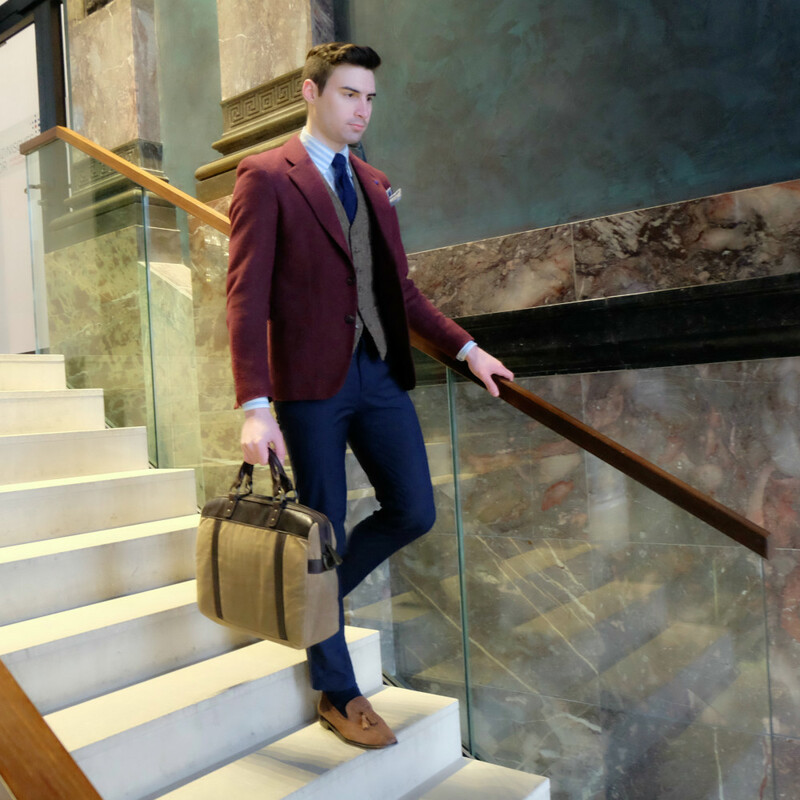 This fabric is a great alternative to most common blazers. I also like your shoes. Love this outfit!! You are so perfect!! This is stunning, especially the jacket. LOVE the maroon against the navy! Such a fabulous style. Going to follow you on Bloglovin!